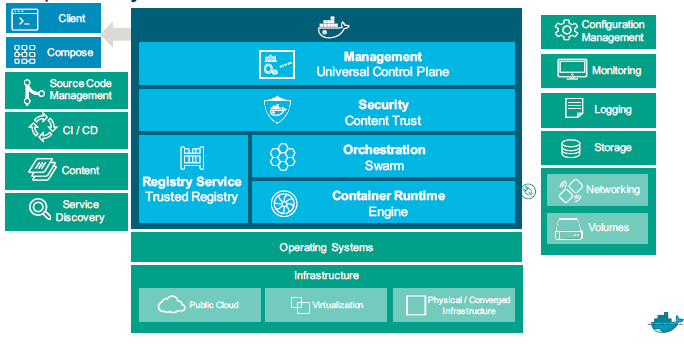 Docker wants to make it easy for enterprises to set up their own internal “Containers as a Service” (CaaS) operations, releasing an integrated package of its open source technologies for deploying and managing containers. Available as a subscription, the Docker Datacenter (DDC) could provide a way for organizations to give their developers an easy way to deploy their applications without worrying about issues that might arise from moving a codebase from development into production, explained Scott Johnston, Docker senior vice president for product management and product design. The same container that the developer uses to build the application on the local workstation is also used on the production side, ensuring no issues arise from the differences between the two environments. It could also provide the ability for developers to spin up new resources without waiting on the IT department. The idea is that system administrators can set up a service bureau of pre-built secured container images that developers can use when needed, Johnston said. Administrators can build container images that have been security-hardened as well as set the allowable actions that the resulting containers can take on the organization’s servers. “What we’re hearing from many customers is that they want a self-service bureau to allow developers to move as fast as possible,” Johnston said. In effect, DDC allows organizations to set up their own in-house CaaS. DDC is comprised of the Docker Trusted Registry and the Docker Universal Control Plane, which provides a base for running containers across different environments. The Control Plane, previewed in November and now generally available, incorporates Docker Swarm and Docker Compose. The package is designed to work with copies of the Docker Engine installed on the organization’s servers. 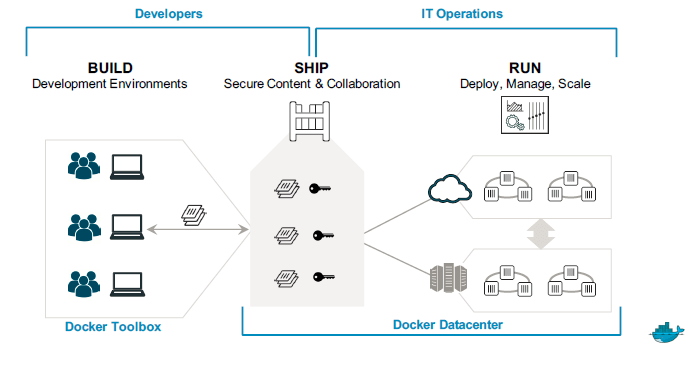 The Docker Datacenter can work with existing IT infrastructure. A number of companies are already using preview versions of the software to run their own CaaS operations. Payroll services provide ADP is using the software to allow developers to provision their own infrastructure. Australian banking firm SA Home Loans is using Docker Datacenter to convert a set of monolithic .Net applications, built in Mono, into a set of microservices. Docker Datacenter subscription starts at $150 per month per node.